Haiku, haiga by myself. I made this haiga for the summer greeeting card. 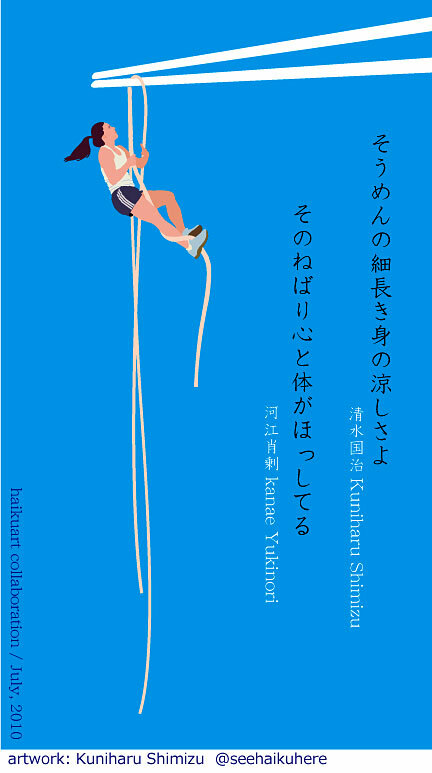 Dr. Kanae, an Egyptian ancient histroy specialist, joined my haiga, contributing his haiku that links to my haiku. 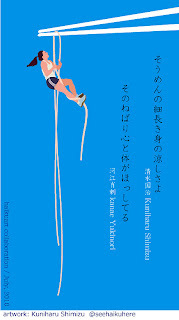 Love the image, and intrigued as to what the haiku are in English.